Life with Microsoft | Using Microsoft technology for work and play. Using Microsoft technology for work and play. 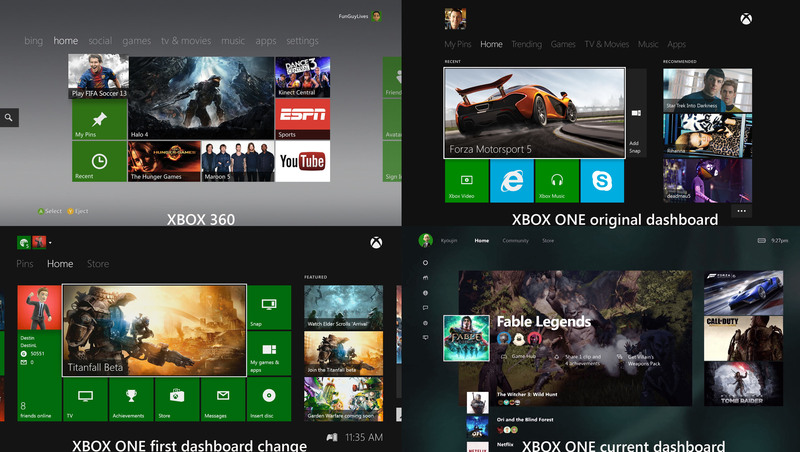 Windows 10 Mobile UX & Xbox One dashboard – GROSS! Up until recently, I considered my myself a Microsoft fanboy. One of the main requirements of being a Microsoft fanboy, according to myself, is that they could do no wrong with their products. Then came Windows 10 Mobile. What a disgusting mess. 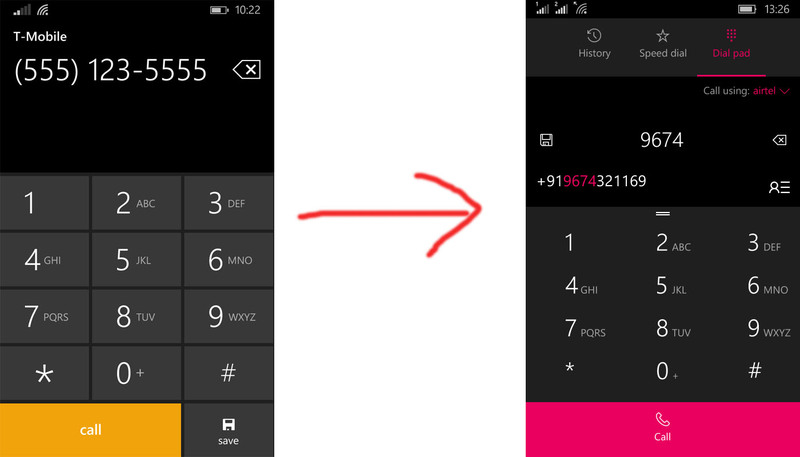 All that typography, the panoramic layouts, the easy to understand icons found in Windows Phone were gone. When the latest update to the dashboard on Xbox One was revealed, I found myself near a toilet in fear I may throw up. I understand making changes to Windows, like bringing back the Start Menu. That was a no-brainer, but why throw away all that work that went into the Metro-UI? Many will say that was the only way to bring about Universal Windows Apps – apps that work the same with no code changes on desktop, tablet and phones. Right… The problem with that is for those few who jumped on the Windows Phone bandwagon they did so because of the unique user experience. It was beautiful. Funny, the incredibly small market share of Windows Phone dropped with the introduction of Windows 10 Mobile. I doubt that is a coincidence. What Microsoft doesn’t seem to understand is that people were not jumping ship because of the design of Windows Phone – it was the lack of apps. Another thing Microsoft doesn’t understand is that starting over from scratch doesn’t always help. They probably believe that, because of the explosion in adoption for Windows 10. If they kept Windows 8.1 the same, but added a Start Menu, I guarantee that OS would be just as popular as 10 (on the desktop). If you own a Xbox 360, you know that it was fairly easy to navigate the dashboard and to find your stuff – games, music, video, etc.. When the Xbox One debuted, it kept the panoramic look of the 360 dashboard. Then came an update in the last month or so. What a mess. Congratulations Microsoft, your dashboard is now as gross as the PlayStation 3 & 4. It’s a frickin’ challenge to enter codes for games, buy movies, and categorize apps in the Store. The even changed what the buttons do on the controller (compared to the 360), though I think that’s been the case since the consoled debuted. I find myself having a more enjoyable experience on the Xbox 360, I downgraded my desktop computer to Windows 8.1, and will be keeping my obsolete Windows Phone 8.1 device for much longer. Will I jump ship to Android for phones? Perhaps someday since Microsoft has been spending a lot of their resources on making apps for that platform. Will I jump to the PlayStation? Doubt it, why go from one gross experience to another..? It is safe to say I am not a Microsoft fanboy, because I am not happy with all the changes lately. I do love their hardware, but the software company’s software is beginning to disappoint me. People know me as a fan of all things Microsoft. I preach about their software, hardware, retail presence, and customer service. I am sometimes critical of the decisions Microsoft makes, but usually can see things from their point of view. These days, I question why I am still a strong supporter of this company. Windows 10 is about to hit the market. The latest preview builds for both the PC and phones have users praising Microsoft, but most of the praise is for bringing desktop users, mostly in the enterprise, to the forefront of the decision making. It was hard to keep brushing aside over a billion users in favor of a mobile strategy that didn’t seem to be catching on. If you have been living under a rock, Windows 10 brings back the Start Menu that was found in 95, 98, 2000, ME, XP, Vista and 7. The difference now is that you have the option of having Live Tiles in the Start Menu as well as the all apps list or program listing for those that never used Windows 8. As for Windows 10 Mobile, with the exception of the Start Screen, the rest of the OS will resemble Windows 10 for PC. You will not be able to run desktop applications on the phone, but apps created for Windows 10 will work on Windows 10 Mobile. More on that later. Fact is, what we know of as Windows Phone will be killed off. The user interface will be changing dramatically. The pivots/panoramic navigation will be replaced by hamburger menus. So what am I complaining about? Though I do half of my computing on in a desktop environment, I do a lot of consumption on tablets and phones. I fell in love with the tablet side of Windows 8. My Surface Pro 3 was made for Windows 8, well, 8.1 Pro to be specific. When Windows Phone 7 was shown off at World Mobile Congress in 2010, I saw perfection and had to have it. Fast forward to 2015: Windows Phone is dead and the tablet experience on Windows 8 is being put to rest. Microsoft is starting over, yet again, with Windows 10. Windows 10’s tablet mode incorporates a top/down navigation and the UI is very different. There will be very little in the way of metro-style in the UI or apps. Windows 10 is introducing Universal Apps which will look & function identically on tablets, phones and desktops. That is a great achievement and I understand why Microsoft is going this route, but the problem for me is that I saw perfection in mobile and now I’m feeling jaded. I guess I can find solace in that there are plenty of others who feel the same way. My main computer is a Dell Inspiron N5110 laptop sporting an i3 Intel processor running Windows 8.1 (originally had Windows 7). I use it to do photo and video editing. I do audio podcast editing with it as well. In the kitchen I keep a Dell Inspiron 1545 laptop running Windows 7. It is used to watch Netflix, streaming news, and basic web browsing. My wife’s main computer is a Dell Inspiron 1525 running Windows Vista. In the living room we have a Xbox 360 with Kinect. It is used mostly to watch Xbox Video, Netflix, YouTube, DVDs and for gaming. Every once in a while, I’ll throw in a Kinect game like The Michael Jackson Experience or Kinect Sports (boxing mostly). My phone is a Dell Venue Pro running Windows Phone 7.8. I am clearly overdo in terms of upgrading. My wife is sporting a Nokia Lumia 521 running Windows Phone 8. In my home office I have, other than my main computer, a Playstation 3 that I use just for Netflix. I also use a Playstation 2 Slim for gaming. Still stuck on Balder’s Gate and GTA Vice City.. Hooked that to the same television as my Dell Inspiron 6000 laptop running Windows XP which is used strictly for video game emulators for the Atari VCS, ColecoVision, Sega Master System and Nintendo Entertainment System. I still use a Zune HD while in the car, traveling to and from work. Though I should retire that and just use my Windows Phone which perform all the functions of the Zune HD plus makes phone calls. At work I am using a HP desktop with a dual core processor running Windows XP. Yes, I work for one of those companies that is SLOW to upgrade to anything beyond XP. Luckily, more than half the company’s computers are running Windows 7. For photo editing, I am using Photoshop CS2. No need to upgrade as it handles all my editing needs. For video editing, a very consumer-friendly application called Pinnacle Studio Ultimate version 14. It needs to be upgraded. I should also mention that I do audio editing with that application as well. For notes, I use Microsoft’s OneNote on Windows Phone and Windows 8. I use OpenOffice Writer for word processing. Battery Saver: Windows Phone has it, but Android doesn’t. The other day, my coworker, Deb, showed me her new Android device, which is actually her first smartphone. She purchased the HTC One. In my opinion, the phone has spectacular hardware, but lousy software… She was hoping to get the Nokia Lumia 928, but it was not on sale when she went to Best Buy. Battery Saver option in Windows Phone 8. Deb learned quickly that a smartphone’s battery life is very short, needing to be charged more than once a day. She didn’t understand why it needed to be charged halfway through her work day, because she wasn’t using it at work. I explained that smartphones, like desktop computers, have processes running in the background. I also explained that the phone has to try harder to find a cellular signal since we work indoors. Battery Saver option on Windows Phone 7. I told Deb I will find out if there is a battery saver option, like there is on my Windows Phone (still using a Dell Venue Pro with Windows Phone 7.5). I did several searches and found that there are several battery saving apps you can download from the Google Play Store. I also found tips on how to save battery life. Some of these lists had 10 or more steps… Deb was disappointed by the hoops you have to jump through to save battery life. I showed her what I do when I get to work which is to go to Settings, click on Battery Saver and activate the feature. Doing so turns off most of the services that run in the background, but you’ll still get phone calls and text messages. I suggested she keep her eye on Best Buy to see if the Nokia Lumia 928 goes on sale within her return period for her Android phone..
I’m not a big fan of games on mobile devices other than Scrabble-type games. On-screen joysticks/controls drive me crazy and never seem to work well. 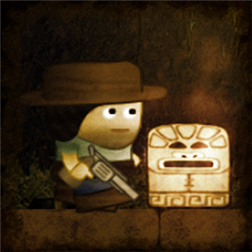 Then I found out about “Alex: Mayan Mysteries”. It’s a side-strolling adventure game that has FUNCTIONAL on-screen controls. It’s a fun game that brings to mind the character Indiana Jones which hopefully doesn’t delve into aliens… I didn’t beat the game yet, so… If you want to check it out, view the description or install it here. Works on Windows Phone versions 7.5, 7.8 & 8. Search with Bing – GET FREE STUFF! If you sign up with Bing’s Reward Program, you can get stuff simply by using Microsoft’s search engine. Just sign up here. Sign up with Facebook OR Microsoft account (small print). Gift cards from Fandango, Starbucks, Redbox, Amazon and a few more. Subscriptions to HuluPLUS or Xbox Live. Microsoft or Skype points to buy games, movies, music (Xbox) or talk time. Enter sweepstakes to win LOTS of great stuff. Have you signed up yet? If not, click here! 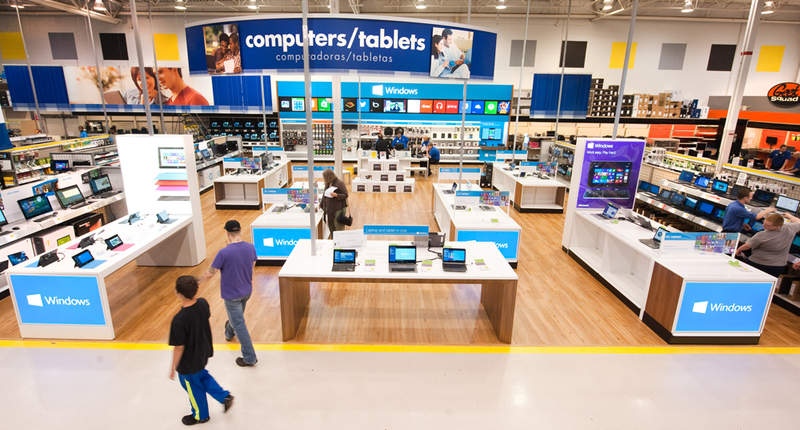 If you haven’t heard, Microsoft is opening specialty stores within many Best Buy locations. As soon as I read that, I jumped on Best Buy’s website and uploaded my resume. A few hours later, I got a phone call asking me to come in a for an interview. I was very excited. Though I already have a full time job that allows me to barely get by, I need a second job to pay for some repairs on a recently purchased home, food, clothes and goodies for my child. My other motivation for getting this position would be showcasing and selling devices from my favorite tech company, Microsoft. I arrived early for the interview as I always arrive early for everything. The Windows Store was not set-up yet. I decided to just browse the PC section. Noticed the Microsoft Surface display table. It was a mess. The Surface RT was not on display. Appears to have been taken off the display table. The signage was knocked over and ripped apart. However, the Surface Pro was there. It was actually the first time I was able to use one. It was awesome, simply awesome. It brought me right back to the days when I worked retail and why I disliked it so much. They want you to work part time, but they want you to be open ALL the time. He seemed like a typical retail manager who is just there to get a head count and not interested in what I would bring to the table. Shame. I think my enthusiasm and knowledge of all things Microsoft would rub off on the customers.